Borneol (Bingpian)- Blumea balsamifera DC. Mineral Name: 1. Dryobalanops aromatica Gaertn. f.; 2. Blumea balsamifera DC. Part Used & Method for Pharmaceutical Preparations: The stems of dryobalanops aromatica are steamed and then cooled into crystals. Properties & Taste: Pungent, bitter and slightly cold. Meridians: Heart, spleen and lung. 1. Unconsciousness due to high fever. Borneol (Bingpian) is used with Musk (Shexiang) in the formula Angong Niuhuang Wan. 2. Red, swollen and painful eyes. Borneol (Bingpian) can be used alone as eye drops. 3. Sore throat or ulc eration of the mouth. 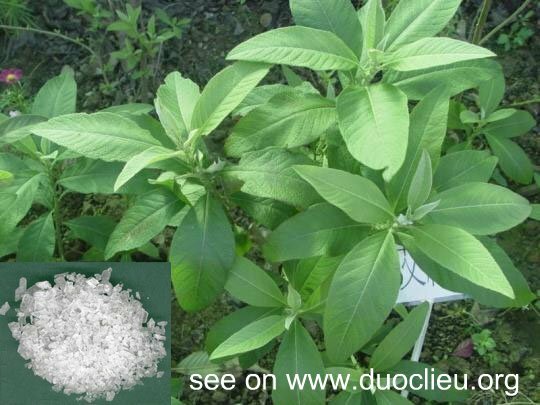 Borneol (Bingpian) is used with Sodium borate (Pengsha) and the compound of Licorice root (Gancao) and Glauber's salt (Mangxiao), also called Xuanming Fen, in the formula Bing Peng San. Dosage: 0.03-0.1 g (in pill form). Cautions & Contraindications: This substance should be used with caution during pregnancy.